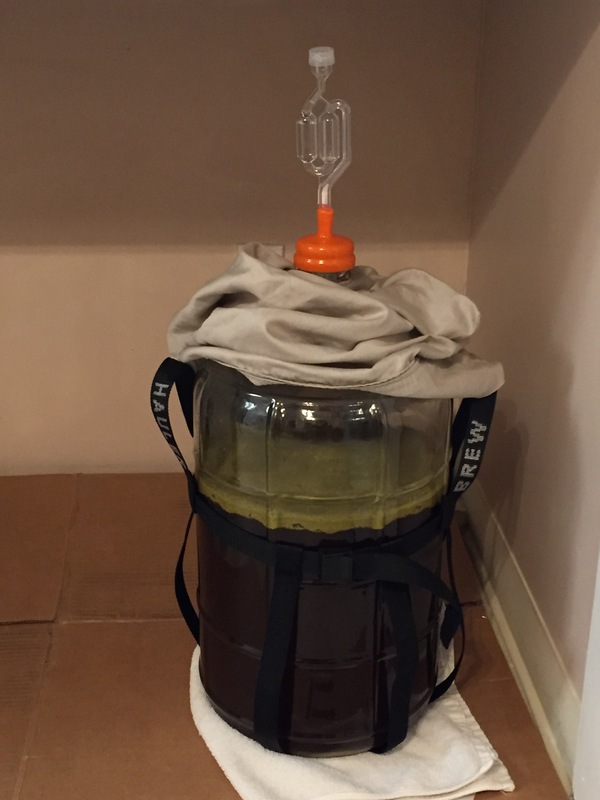 Dry-hopped my third batch tonight, adding 2 oz New Zealand Cascade (a very nice hops, beautiful aroma!). That layer on top is hops, not krausen. 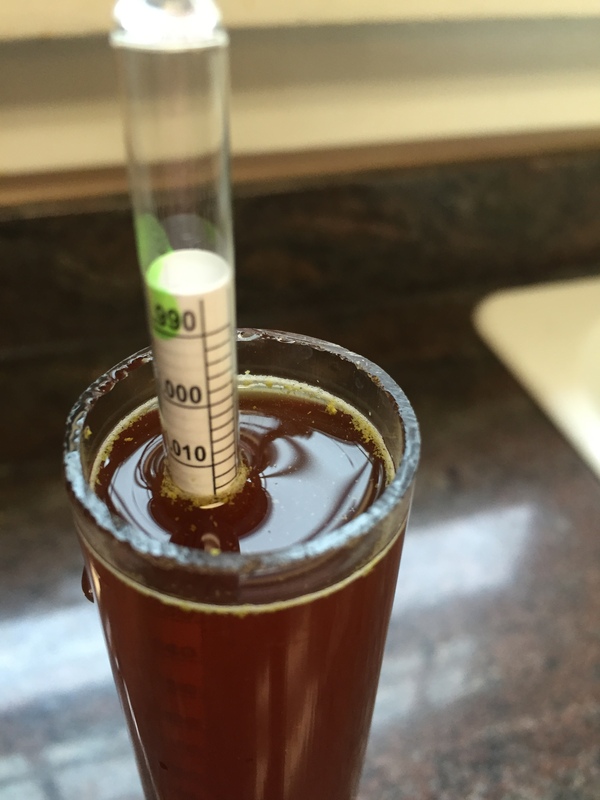 Took another hydrometer reading, same as last, so fermentation is mostly done. I'm going to let it sit like this until next Wednesday (or maybe Tuesday), and then bottle.